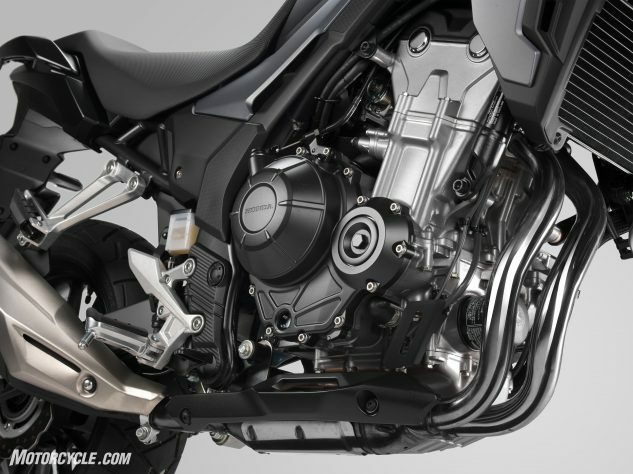 For 2019, the Honda CB500X undergoes a bit of a transformation. Now with a more adventure-y style, the perky Twin should win new fans. 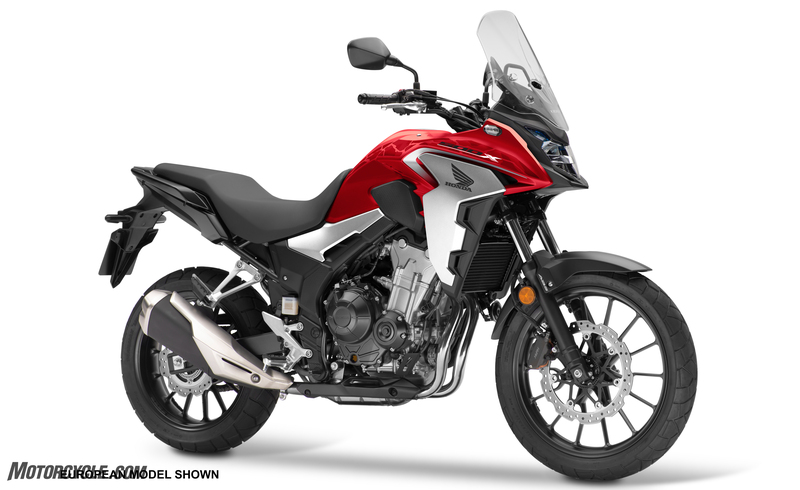 With the CRF1000L as the inspiration, the CB500X has a new, more aggressive look. The radiator shrouds have been extended and the tank now interlocks with the side covers bringing more unity to the bike’s styling. The new look is functional, though. Windblast should be less than with the previous model, thanks to the new fairing shape. Other rider accommodations were updated. The seat has been slimmed to give more room for the rider to reach the ground comfortably. 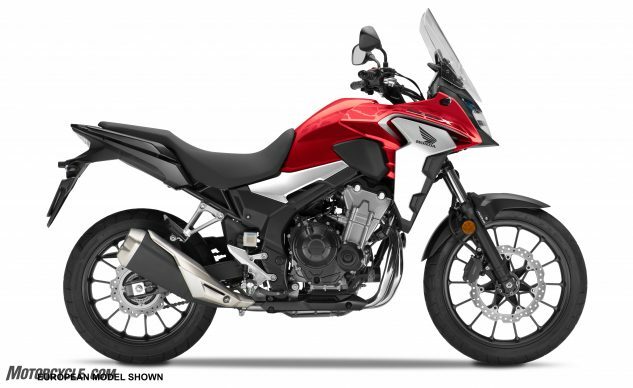 The new handlebar is tapered and gives the rider more steering lock for low-speed maneuverability. New LCD instruments relay important information, like gear position. A tubular stay allows for mounting a GPS above the instruments. While the bulk of the chassis is unchanged, a new shock offers 9-position spring preload adjustability. The 17-inch front wheel has been replaced with a 19-incher and an accompanying longer-travel fork for better handling on rough surfaces. The engine also received minor updates. Revised valve timing yields a 4% gain in the mid-range power and torque. The exhaust note should be a tad beefier, thanks to the new dual exit muffler. Finally, an assist/slipper clutch makes all the rider’s clutch-related duties much easier. Although pricing and availability have not been announced, the color will be Grand Prix Red.